The United States is one of the best places in the world to travel with children. And there’s no better location for children in the U.S. than Florida. From beaches to theme parks to national parks, there are so many different places to visit that children will enjoy that planning a trip can be tricky. Below we highlight the top 10 destinations that children are sure to love and enjoy on their trip to Florida. Remember that even if you are traveling as a family you will have to fill out a separate ESTA travel authorization for each member of the family, including children. 1. 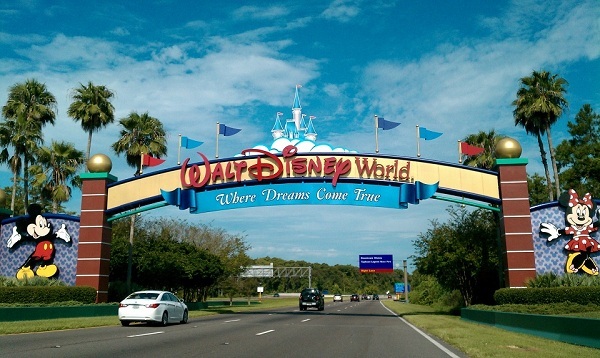 Walt Disney World – Opened in 1971 in Orlando, it is the flagship theme park of the Disney Company. Walt Disney World is divided into 4 different sections: Magic Kingdom, Epcot, Hollywood Studios and Animal Kingdom. Children will be enchanted with rides such as It’s a Small World in Magic Kingdom, Space Ship Earth in Epcot or the Kiss Goodnight in the famous Cinderella Castle. The whole family will enjoy a trip to Walt Disney World. It is recommended that you visit in the spring or autumn as during the summer waiting times can be long. If you do visit in the summer it is worth buying a FastPass+ to avoid the long lines. 2. 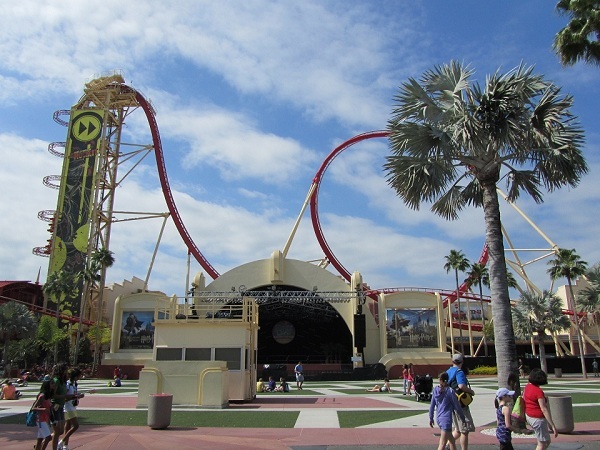 Universal Resort Orlando – Universal is divided into Universal Studios, Island of Adventure, Wet n’ Wild Orlando and CityWalk. The most famous rides are located in Universal Studios and include classics such as Twister, Terminator 2 and Harry Potter. Island of Adventure is divided into seven themed islands with the most popular being Marvel Super Hero Island, Jurassic Park and the Wizarding World of Harry Potter. In CityWalk you will find many dining options including the Hard Rock Café Orlando and also performance theaters for famous shows such as the Blue Man Group. 3. 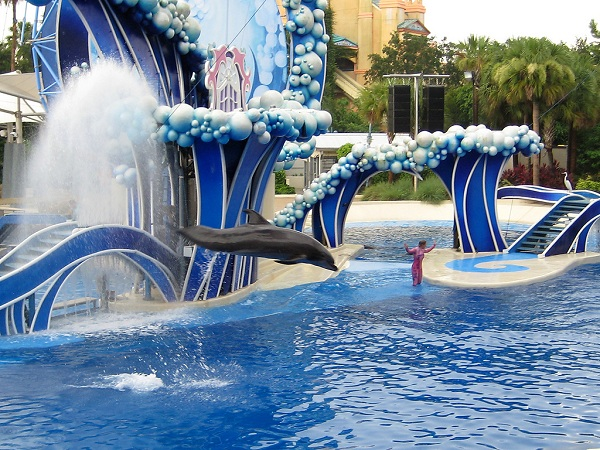 Seaworld Orlando – This famous theme park is based on marine life. It is divided in 3 main areas: rides, live performances and exhibits. In the rides section you will find several roller coasters and other rides such as the renowned Kraken floorless roller coaster. In the live performance section there are different stadiums with each displaying a different live performance by a marine animal. The most famous live performances takes place in the Shamu Stadium, where SeaWorld’s emblematic killer whales perform. The exhibits display marine animals such as sharks, stingrays and dolphins. 4. 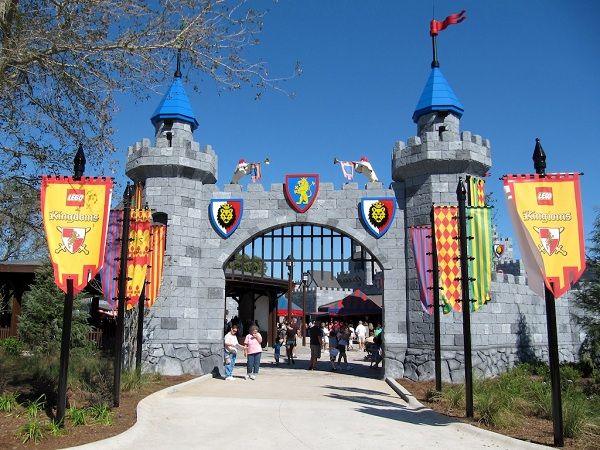 Legoland Florida – Located in Winter Haven, about 45 minutes south of Orlando, Legoland offers over 45 rides, shows, a botanical garden and a water park. All rides have a Lego theme and some of the most famous include Miniland USA, Lego City, and Fun Town – where they show how Lego bricks are built from factory to finish. 5. 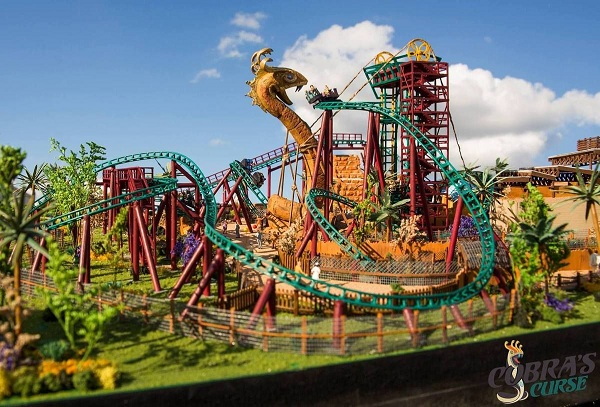 Busch Gardens – Located in Tampa, it consists of over 130 hectares of African themed attractions. Busch Gardens is one of the most visited theme parks in the U.S. with over four million people visiting in 2011. Some of the top attractions include Morocco, Congo and Nairobi. In Nairobi Alligators and crocodiles can be observed up close. 6. 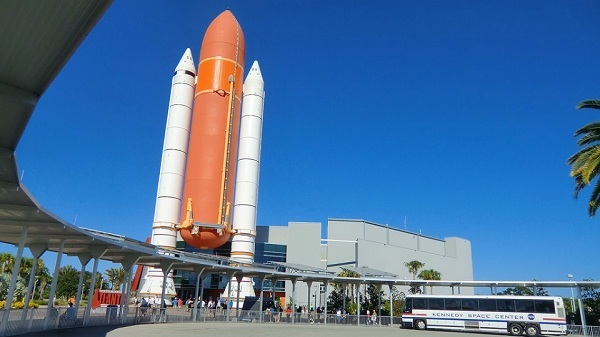 Kennedy Space Center – Located on Florida’s east coast about 45 minutes east of Orlando, the Kennedy Space Center features exhibits and displays, simulated rides and two IMAX theatres. The highlight of the center is without doubt the Shuttle Launch Experience. Visitors go through a simulated launch experience that recreates a real space launch. The whole Space Center is a very interesting and unique experience that children will be sure to enjoy. 7. Miami Children’s Museum – This museum situated on Watson Island, close to Downtown Miami, will delight children with its many games and exhibits. 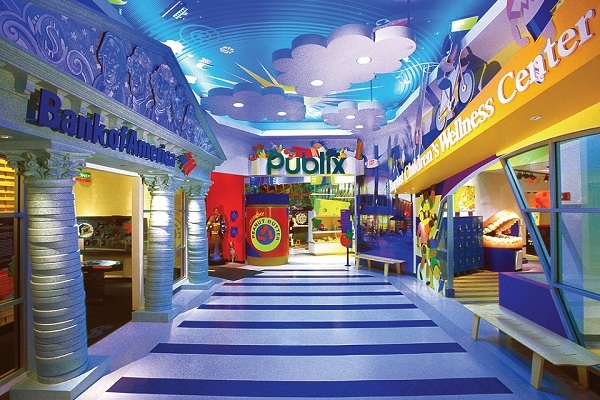 Some of the highlights include a bank where children are able to design their own money; a health and wellness center where children learn about nutrition and how to keep bodies fit; a supermarket where they can learn about different products and proceed to the checkout line and an attraction called All About Art where children can use different methods to paint and create art. It will be a very enjoyable experience for all children. 8. Zoo Miami – One of the largest zoos in the U.S. and a very enjoyable experience since animals are left free without cages. 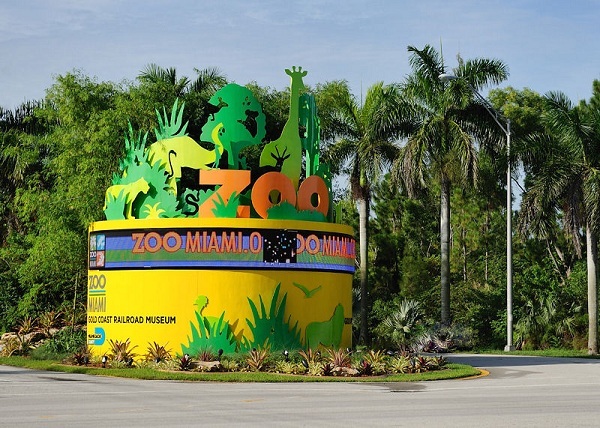 Zoo Miami has several animals of interest including American flamingos, white Bengal tigers, giraffes and many others. An air-conditioned monorail goes around the park making it convenient to catch it to explore different parts as it can get very hot and humid. 9. 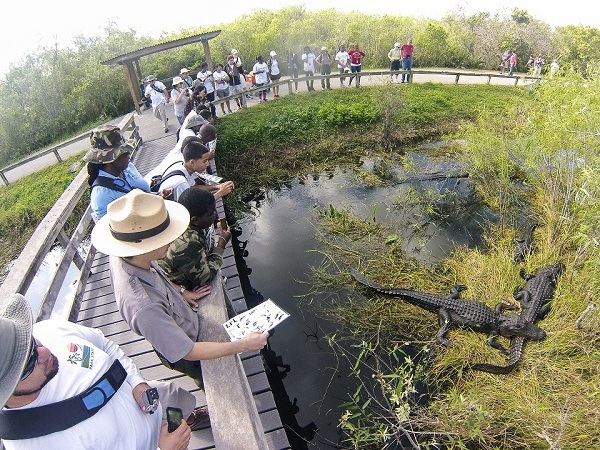 Everglades National Park – The Everglades is the largest tropical wildlife park in the United States, covering an area of over 600,000 hectares. These tropical wetlands are home to a unique flora and fauna including American crocodile, manatee and many different types of birds. Something children will enjoy dearly is an airboat ride in the Everglades. These boats have a giant fan in the back that allows them to circulate freely in the wetlands without being stuck in the thick and muddy grounds of the Everglades. Many of these tours are arranged by local Miccosukee Indians and they take visitors to see American alligators in their natural habitat. 10. 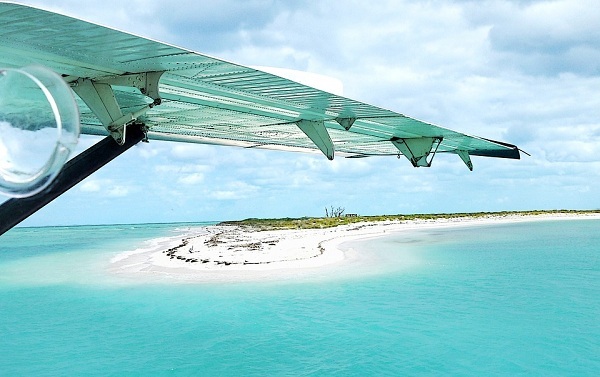 The Florida Keys – A real highlight of any trip to Florida is driving from Miami to Key West along the Florida Keys. The drive takes you over Seven Mile Bridge where wonderful views of the clear Atlantic ocean are seen on both sides of the bridge. Key West is a very compact city that has a strong Caribbean vibe and atmosphere with many Victorian style houses. Older children will enjoy visiting Hemingway’s House – where he lived after leaving Cuba. For younger children the stunning crystal clear beaches of the Florida Keys will be very enjoyable. Florida is a dream destination for children, offering some of the world’s top theme parks, museums and beaches. It is important to plan your trip carefully since many of the top attractions are located in the Orlando area and others in and around Miami. The only thing needed is some careful planning and organization and your U.S. ESTA travel authorization!